My led display (trip, hours temp etc.) 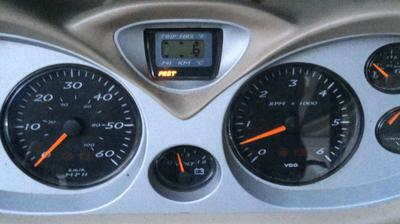 on the instrument cluster is flashing wildly, and the alarm is on continuously. Engine runs OK, temp normal, oil pressure normal.